Our school crest is used on our school headed paper, track suits, diaries and much more. The acorn was used to show that even small beginnings have the greatest potential for growth. The acorn becomes an oak tree, which is a symbol of many things - longevity, stability, strength, tolerance and especially wisdom. The book is a symbol for learning. Through the teaching and learning that takes place in our school, our pupils gain wisdom to build a solid foundation for future endeavours. 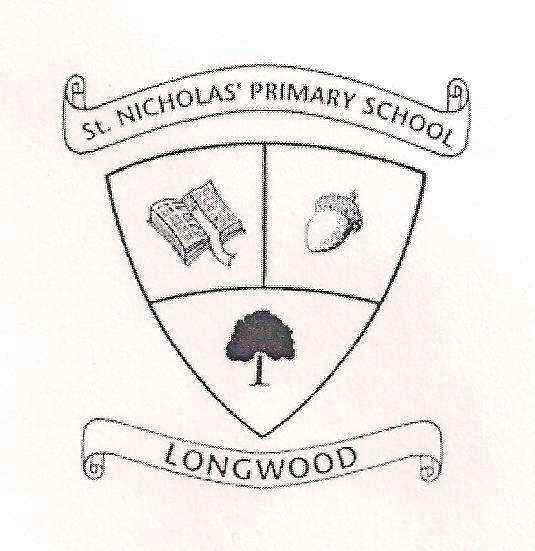 Our school crest was designed by pupils in 1998, when the extension and renovations were completed in the old school. This is what it looked like. It was updated to a colour version in 2012, but it still holds the same message as the original.